The Centruroides sculpturatus, or Arizona Bark Scorpion, is a scorpion unique to the southwest United States and is the only scorpion species in Arizona that is considered life threatening. Arizona Bark Scorpions are small and light brown in color. Here is what you need to know about bark scorpions in Arizona. Arizona bark scorpions live in the southwestern United States. Because they are so small in size, bark scorpions are frequently found in residential areas and inside homes. Due to the fact that an Arizona Bark Scorpion can enter a home with less than 1/16 of an inch of an opening, they are commonly found inside Arizona homes. These scorpions are found primarily in Arizona, but they also exist in portions of Southern California and New Mexico, as they are particularly well suited to living in desert conditions. Bark scorpions can often be found in groves of trees where the humidity can support the insects they prey on, but due to humidity in residential neighborhoods with irrigation, they also thrive in homes. Most bark scorpions prey at night and prefer to be hidden in dark, damp areas during the day. They can be found under bricks or stones in gardens and inside the home. The bark scorpion is the only scorpion in Arizona whose bite is considered to be possibly life threatening. The bite of the Bark scorpion can inflict severe pain that lasts for anywhere for 24 – 72 hours. 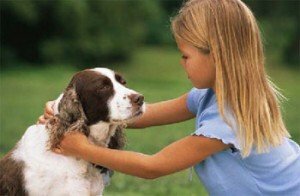 The bites can be accompanied by numbness and tingling in the afflicted area, and can cause the area to become immobilized or temporarily dysfunctional after the bite. For example, if your hand is bitten, it would not be uncommon for your hand to become immobilized or experience convulsions in the few days after you are bitten. 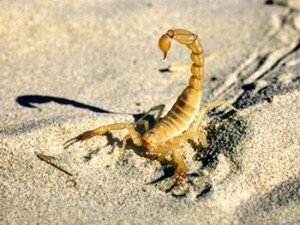 Though their bites are painful and Bark scorpions are considered to be the most venomous scorpion, fatalities from scorpion stings in the United States are rare. Small animals and pets, small children and adults with compromised immune systems are most susceptible to the venom of a Bark scorpion. 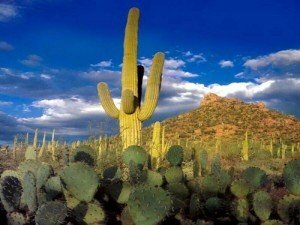 Due to the life threatening aspect of an Arizona Bark scorpion stings, it is best to protect your home against scorpions with a pest control service and also to contact a medical provider immediately if you are bitten by a scorpion. Arizona Bark Scorpions feed on other insects, pests and even other scorpions. As a result, the first step to securing your home against Arizona Bark scorpions is to have regular pest control services to keep your home pest free. The Arizona Bark scorpion is incredibly resilient. These scorpions have survived months of being frozen and even show no adverse affects after being found near ground zero of Nuclear testing in the United States. Because of this, our experts in Arizona pest control are experienced in the methods necessary to rid your home of Arizona bark scorpions. Our scorpion control products are mixed at the proper, EPA approved levels to obtain optimum scorpion control, and we apply scorpion control products in areas where scorpions are likely to nest in order to control the Arizona bark scorpion population in and around your home. A Blue Sky Pest control technician will provide you with a customized plan to control all the pests in your home, including Bark scorpions. If you find Bark scorpions in your home, the most important thing to remember is that you should contact a medical professional if you are bitten. Furthermore, preventative pest control can help minimize the presence of Arizona bark scorpions in and around your home. As always, we’re happy to talk to you about a customized plan for your home and give you tips for protecting your family and pets by controlling pests and scorpions in your Arizona home.